Getting away to the sun and cycling in January is a brilliant way to escape cold grey Britain and it's now established as a regular feature in our calendar. After three excellent trips in south-east Asia, we wanted a change from the traffic and the endless Buddha statues and decided to go to Chile and Argentina. Another first for us, we booked our trip with Skedaddle, the cycling holiday specialist from Newcastle. So what's involved and would you enjoy it? The trip involves cycling on road and gravel tracks for two weeks in Patagonia's 'Lake District'. The scenery is spectacular and surprisingly varied. 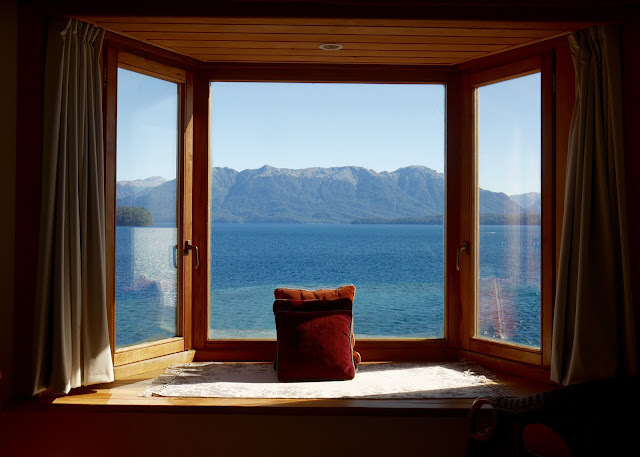 While huge lakes are a common theme, the landscape is lush, forested and green on the Chilean side of the Andies and like a desert in Argentina and comparisons were made with both British Columbia and Nevada. Particularly spectacular were the snow-capped volcanoes (this is the land of 'fire and ice') and, on a smaller scale, the monkey puzzle forests. Skedaddle grade the trip as 'moderate' which essentially means its suitable for people who cycle regularly at home. 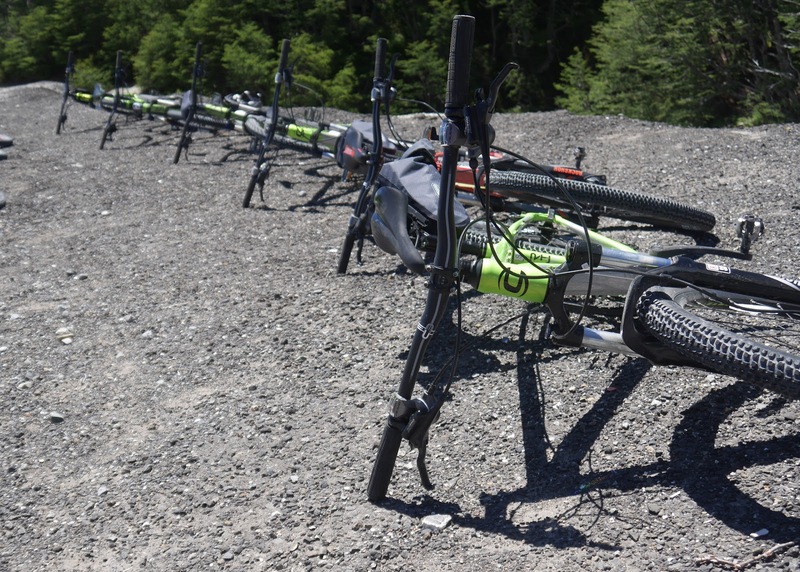 The bikes provided were Cannondale mountain bikes and well matched to the conditions. The toughest day involved a 74km trip and none of the climbs on any day exceeded 200m. 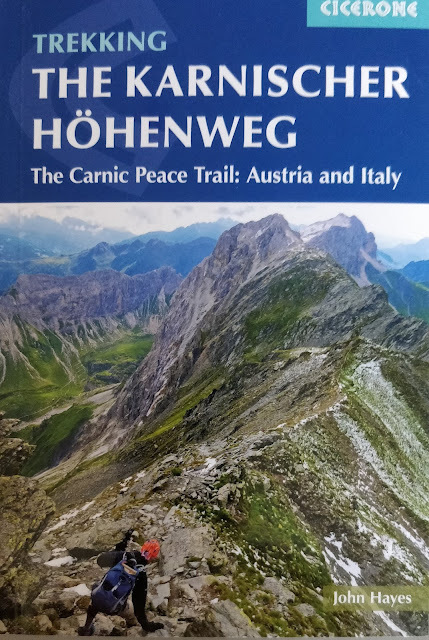 The going was a mix of gravel and tarmac and, as a result of interaction with vehicle suspension, the surface of the gravel tracks was often corrugated and without mountain bikes the riding would have been seriously uncomfortable. The accommodation was generally speaking excellent, nice hotels in great locations. The food, to be honest, was a bit on the bland side and, after several days in Argentina I feel I've had enough meat to last a lifetime. As is usual the people attracted to these trips are easy going, good fun and everyone got on very well. Apart from the cycling (I'll cycle anywhere) and the good company, this trip was all about the landscape. In terms of people and 'culture', there is a lot less to see when you're on a bike in Chile and Argentina than there is in India, Sri Lanka or Myanmar (my three trips in south-east Asia). This is a trip where you share the road and gravel tracks with SUVs and occasional large lorries rather than the slow-moving mass of life experienced, for example, in Kerala. Whereas cycling was definitely the best way to travel in India, here I think getting off the beaten track altogether and hiking might have been more rewarding. While the first week went really well the second fizzled out and was a little disappointing. 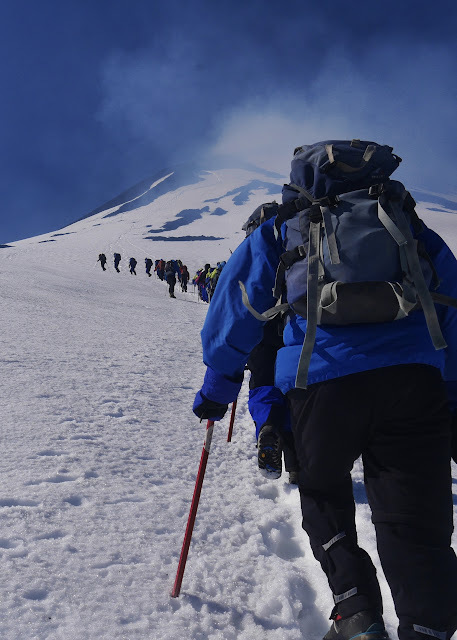 There were two rest days in last week, at San Martin de los Andes and at Pucon. They were separated by just a day and, apart from an optional climb up the Volcan Villarica in Pucon (4 of us did it), nothing was really organised for either day. 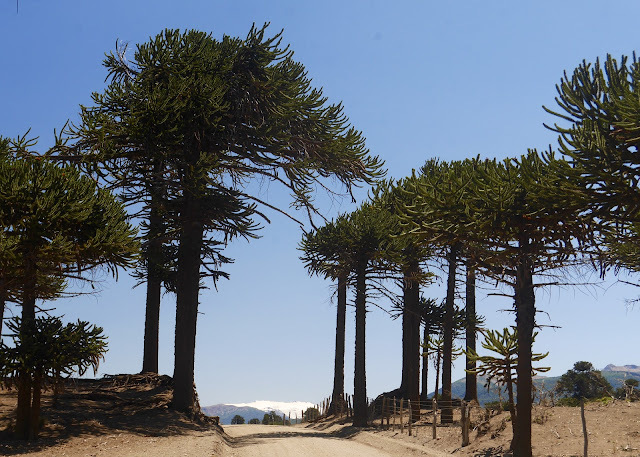 We were the victims of some bad luck - we had had to change the planned schedule firstly because our driver had to return home unexpectedly for a family funeral and secondly because a national park was closed due to forest fire risk (2016/17 has been the hottest year ever in Chile). The local tour operator wasn't able to provide a timely driver replacement so we lost most of a day's cycling (the ride between San Martin de los Andes and Pucon), and then the alternative to the ride through the closed national park was poorly conceived. Even when everything goes to plan the schedule involves a lot of bus transfers but as things worked out we seemed to spend too much of the second week in the back of a cramped mini bus. Despite these disappointments, we had a brilliant time. The direct BA flight from London to Santiago made it particularly convenient and, dosed up on Night Nurse, the two 14 hour overnight flights passed like a dream. We stayed an extra week in Chile visiting Santiago, Valparaiso and Zapallar and now, back in the UK, feel like we have absorbed enough vitamin D to survive the rest of winter. In terms of photographs, I took a lot less on this trip than on my last three January escapes and on this evidence I suspect this one may be the least memorable. Set out below is a brief day-by-day description of the trip. Day 1 Puerto Varas - beautiful lake-side resort a few miles from Puerto Monte which you fly to from Santiago. The hotel there is excellent and we got there a day early, a good decision. Day 2 Puelo - the weather was poor on the first day and the 40 km ride, mainly on a wet undulating gravel track, came as a bit of shock. The cycling was sandwiched between a two-hour bus transfer and ferry crossing to what turned out to be a lovely eco-lodge on the side of a lake. Day 3 Las Cascadas - thankfully the weather improved as the 75km ride mainly on dirt roads was a tough one particularly the 180m climb towards the end. The hotel at Las Cascadas, on the opposite side of the lake from Puerto Varas, had great facilities but dreadful food. The stunning Volcan Orsorno nearby was unfortunately shrouded in cloud. 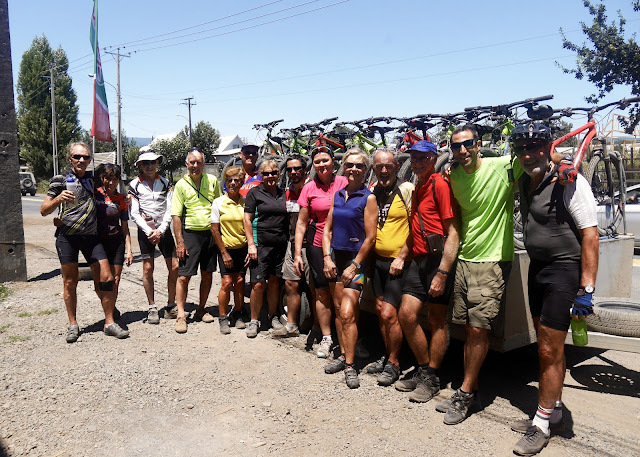 Day 4 Villa Angustora - after a 2hr transfer, we crossed the Chilean border and embarked on an exciting 500m descent along a tarmac road through no man's land before being held up at the entrance into Argentina. The rest of the 40km kilometre ride was wonderful and the hotel at the end fabulous, the best on the whole trip. It had a lovely swimming pool with a lakeside location, amazing views. 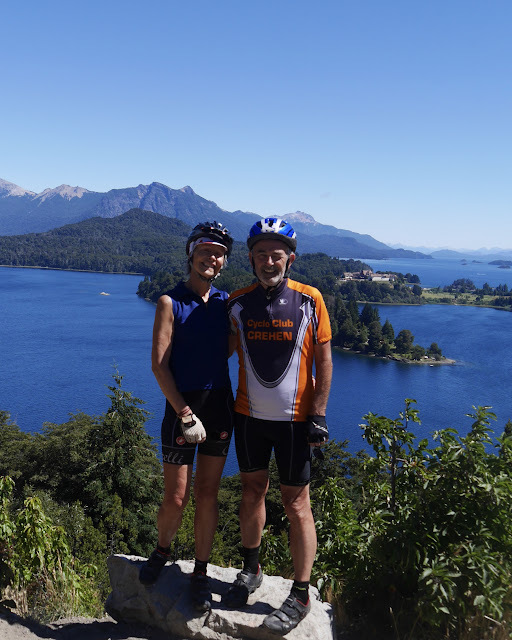 Day 5 Bariloche - the morning ride followed by lunch (always a picnic and very good) along the side of the lake was great until the route left the lakeside and climbed steadily to a pass. It then got a bit hairy as the large lorries, desperate not to lose momentum on the climb, got too close for comfort and we had to go onto the gravel shoulder a few times. After lunch, the problem largely disappeared and the journey into Bariloche through a semi-desert landscape was great fun. 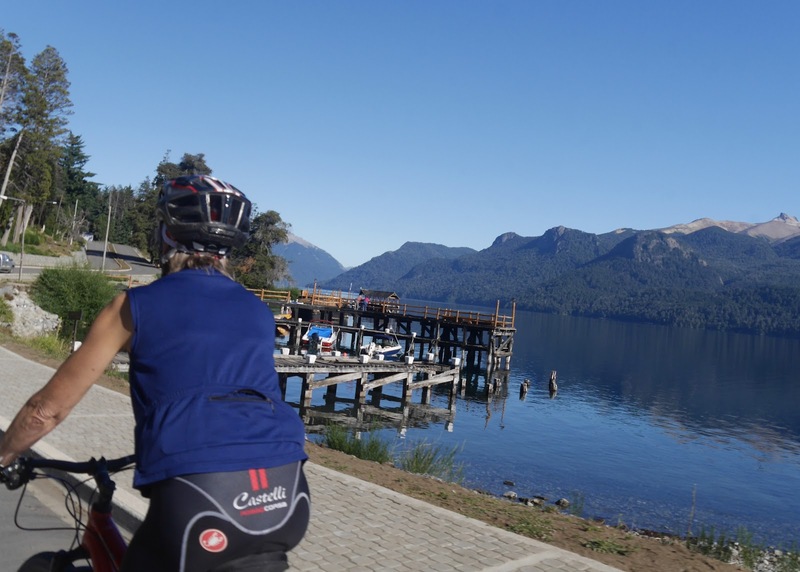 Day 6 Bariloche - nice accommodation and but with a short circular 24km ride (lovely scenery) it felt a little like a rest day. Day 7 Villa Tráful - after a 3 hour transfer along what would have been a lovely road for cycling, we embarked a 35km gravel ride through scenery that would have formed the perfect backdrop for a spaghetti western. Some of the climbs in the heat, particularly after lunch, were really demanding. The accommodation at the end in Villa Trâful was comfortable although comparatively primitive. There was a temporary cut in water supply to the village when we arrived so we made up for it in beers. 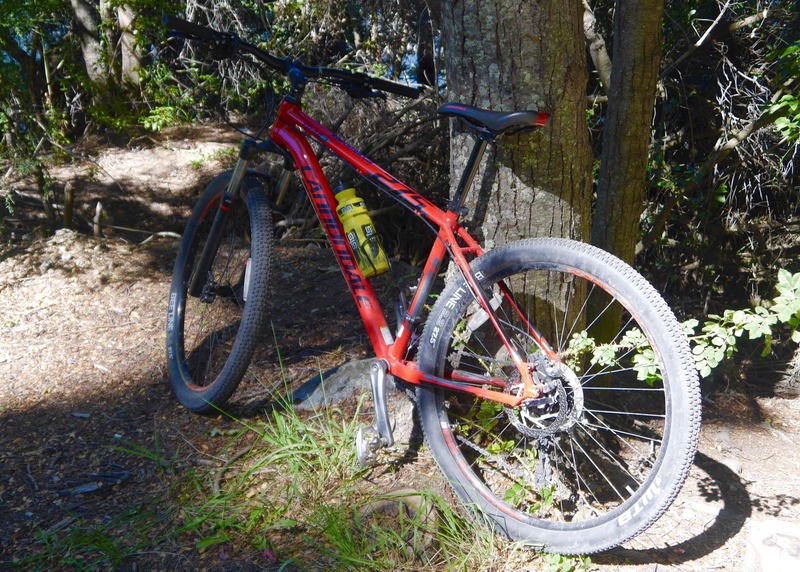 Day 8 San Martin de Los Andes - another 75km day and this one involved two tough climbs, one near the beginning along gravel and through trees and one immediately after lunch along tarmac but at a hot time of the day and in the open. The final descent to San Martin de Los Andes compensated and was a lovely 10km swooping descent with fabulous views. Day 9 San Martin de Los Andes - a resort town but with little to see or do particularly as the hotel had little in the way of facilities. Our tour leader didn't really have a lot to contribute in terms of suggestions but we managed to find a nice spot along the side of the lake and got there before the crowds arrived. We had a nice day but most of the group seemed to be killing time. Day 10 Pucon - our driver had to get home to attend his grandmother's funeral so we ended up sitting on the bus and driving all the way to Pucon. I was a bit pissed off - of course, the driver had to get to the funeral but given that the tour organiser knew they had a problem the day before I couldn't understand why a replacement driver couldn't be arranged. We arrived in Pucon in the early afternoon and a circular ride to some local waterfalls was organised. Day 11 Pucon and another rest day but in a much busier and more prosperous resort town. 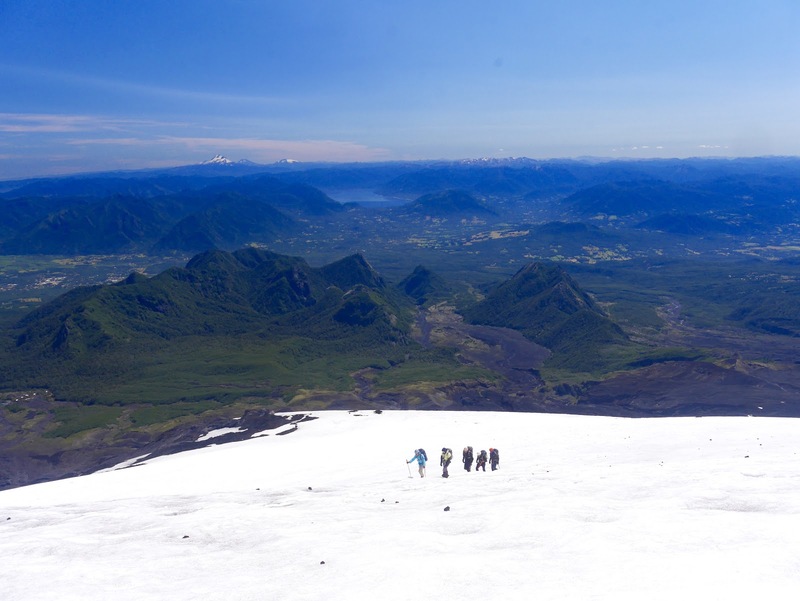 I jumped at the opportunity to walk up the Volcan Villarica and with 3 others had a great day. An impromptu short cycle ride was organised for the rest of the group in the morning. Day 12 Rumours that the National Parks had been closed because of the forest fires were confirmed and our tour leader had to reschedule a new route and a new destination. The estimated two hour journey took five and we found ourselves cycling on loose undulating gravel at the hottest time of a very hot day. It was grim and sensibly, shortly after lunch and about 25km we gave up and got back in the van. Day 13 Temuco - after 3 less than perfect days the trip ended on a high with some great cycling along lovely tarmac roads with a long undulating descent. I had a race with one of the staff and pretended, as I always do on these trips, that I'm only half my age. Somehow I managed to avoid a heart attack. That sounds contrastingly organised compared with some of your free roaming travels, but interesting, and a good way to get to see new places without too much hassle. I don’t think it would suit me. I prefer to have the option to vary my itinerary as I wish, and have the choice of continuing along the way (or not) with people met if that option arises. I appreciate your candid assessment. I did something similar in 2015 after walking the Macmillan Way (Boston to Abbotsbury) and the Macmillan people who manage that walk got hold of my account and were offended because I had included the downsides as well as the converse. Thanks for your comments as always. It's quite hard pointing out the downsides of any trip, even one I organised myself, because after spending the money or effort, any response other than wild enthusiasm is difficult. Still given the freezing grey weather here in Brighton at the moment I'd wish I had stayed longer in Chile!